You are currently browsing the tag archive for the ‘statues’ tag. 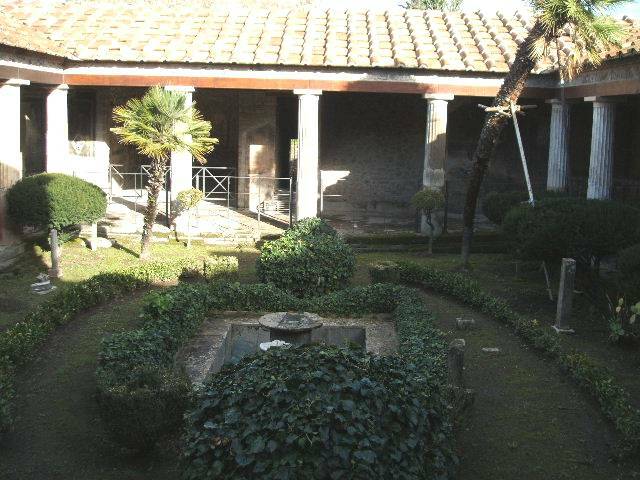 The ancient Romans were devotees of all sorts of gardens. 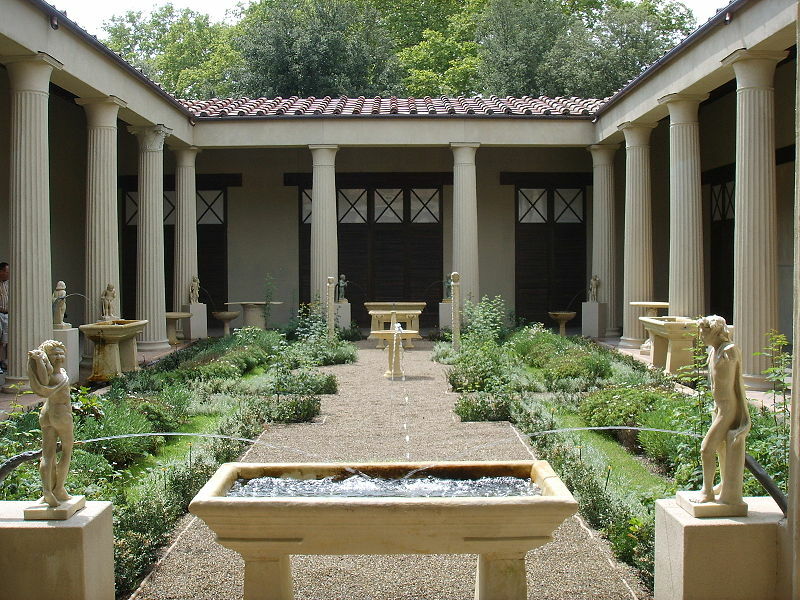 As classical Mediterranean culture reached its apogee during the eras of the Roman Republic and the Roman Principate, Roman gardeners combined the best aspects of garden styles from Greece, Persia, and Egypt to create their own tranquil refuges from stress, strife, and crowds. Some of these gardens were sprawling temple gardens built to honor various deities (while also granting beauty and serenity to the worshippers), or large pleasure gardens which combined orchards with ornate terraces, but the classical Roman garden which everyone thinks of today was the peristyle garden at the center of the Roman urban household. This was designed to be one of the two centers of the Roman home. The other center, the atria was symbolic and formal—it related to ancestors, religion, and the past, but the garden was meant to be lived in and enjoyed. 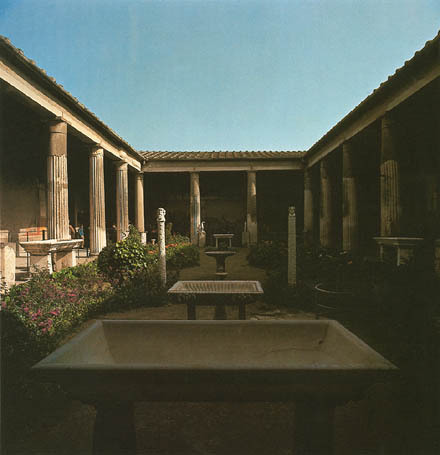 A peristyle garden was located in an open courtyard of a domus and was generally surrounded by colonnades. Various ornamental plants and statues could be found in the garden. If the family was especially prosperous, there might also be fountains, pools, murals, and running water. However even humbler houses would have an opening in the ceiling and some potted herbs and flowers. 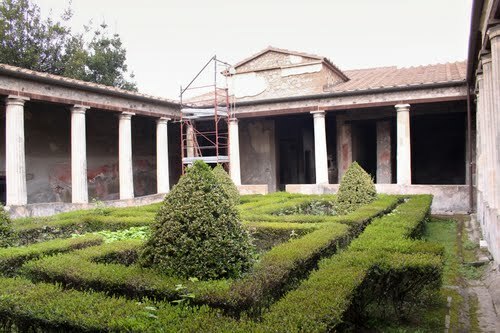 For security reasons Roman urban houses did not usually have windows facing the street, so the garden (and the formal atrium at the front of the house) became the source of fresh air as well as water. Fragrant, herbs, shrubs and flowers were carefully cultivated amidst complementary artworks. We have paintings of these gardens, and literary descriptions, but, best of all, we have examples of the gardens themselves from Pompeii. Although the actual plants from Pompeian villas emerged worse for the wear after being entombed for centuries beneath volcanic ash, the statues and decorations remained. This post contains photos of how some of these actual Roman gardens look when replanted and tended. The old-fashioned Roman domus began to vanish in the 6th century AD as Christianity became universal, but the peristyle did not vanish. 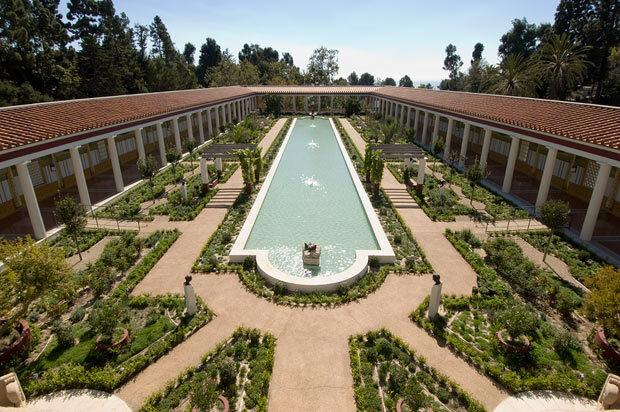 The peristyle garden evolved into the atrium of the Basillica–and then the concept became even more removed from the mundane world as it changed into the monastic cloister.